I'm attempting to implement Ethernet communication for the first time and have run into an issue with my PHY. I'm using the KSZ8091RNBCA. According to the datasheet, when running in RMII mode, the XO pin is supposed to be left unconnected (Tables 2-3, 3-2). Figure 3-4, shown below, shows that my external 50MHz crystal needs to be connected to both the XI pin on the PHY and the REF_CLK line. Since both paths are shown coming out of the crystal, does REF_CLK come off the same pin as XI, or does it come off of the other pin, where the XO would normally go? 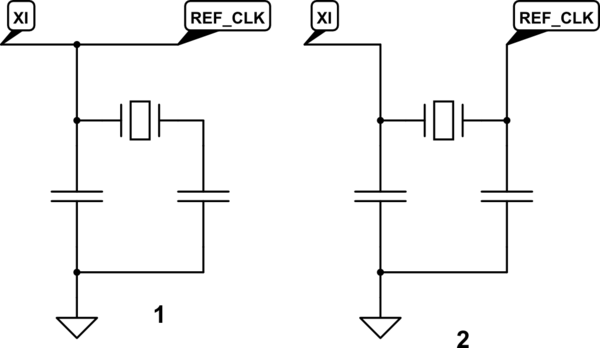 Figure 3-4 shows an oscillator, not a crystal. 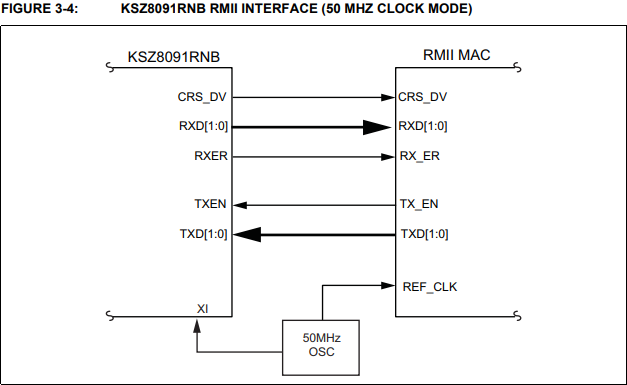 Similarly, the datasheet says "RMII - 50 MHZ CLOCK MODE [...] An external 50 MHz clock source (oscillator) connected to XI"
A "crystal" would be excited by XO and the desired clock frequency would come into XI. In this context, an "oscillator" is something which excites itself externally, and just provides a clock to your device's XI or REF_CLK input. The datasheet is trying to tell you to use some external device which provides a 50MHz clock without needing to be excited by XO. Not the answer you're looking for? Browse other questions tagged oscillator schematics crystal phy rmii or ask your own question. Put the crystal on the bottom with thru-vias, or on the top with a blind via? How can I configure PHY in cubeMX on own board?